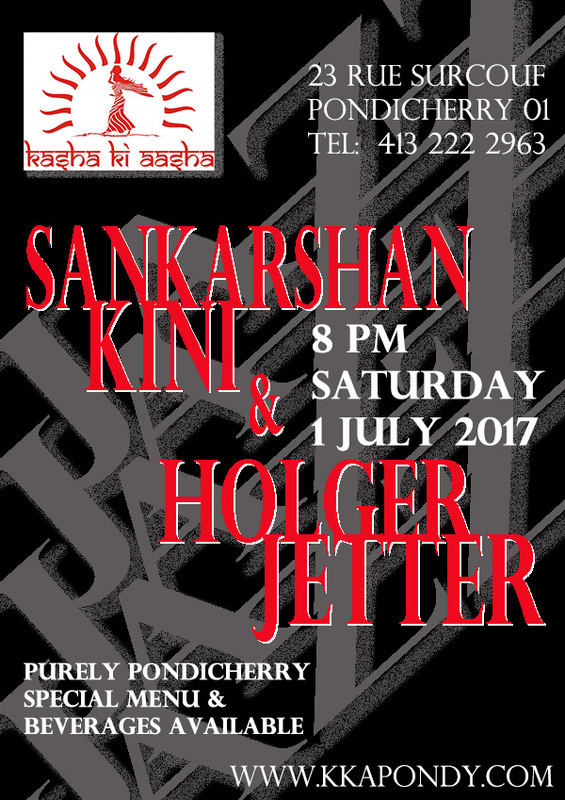 Sankarshan Kini and Holger Jetter keep it cool with classics this weekend on the Terrace at Kasha Ki Aasha. Their unique sound mixing Shanks’ vocals and guitar, and Holger’s violin and and string bass takes us from the jazz clubs of NY down to New Orlean’s Bourbon Street and sometimes further south for the best Latin tunes. Come join us at 8 pm on our expanded terrace for some great music, lots of new dinner specials and something cool on the side. We are waiting to welcome you! Tel: 413 222 2963 – Reservations accepted before 730 ONLY! Then it is first come first serve!